On Feb. 4, our pro bono attorneys and the Department of Fair Employment and Housing were denied temporary restraining orders to stop the sale of Keiro. This finalizes the failure of Shawn Miyake and the Keiro Board of Directors (Gary Kawaguchi, Ernest Doizaki, Jeff Folick, Gerald Fukui, Thomas Iino, CPA, John Ikegami, Lynn Miyamoto, Esq., Makoto Nakayama, PharmD, Stuart Tsujimoto, Ruth Watanabe, and Frank Kawana) to save Keiro, an iconic Japanese American institution providing a culturally nurturing environment at the Retirement Home, Intermediate Care Facility, Keiro Nursing Home, and South Bay Keiro Nursing Home for our elders. They, who were entrusted with the responsibility of saving Keiro, failed. For the past six to seven years, Shawn Miyake and the board gave various reasons to justify their decision to sell the facilities. The quoted reasons given, the demographic changes in the Japanese American community and the uncertainties in the future Medicare-MediCal payments, all became invalid when they sold to Pacifica Companies, a real estate firm. Pacifica will now lease out the management and operation of the retirement home, ICF, and the nursing homes to Northstar and Aspen, respectively. Without selling, Keiro could have duplicated the same operational model of Pacifica to minimize any future financial liabilities. The sale was completely unnecessary. For transparency and to give the community the opportunity to voice their opinion, it was the Keiro Board’s responsibility to request a public hearing from the attorney general. Instead they were granted a waiver twice, first for the failed sale to Ensign and then to Pacifica. In September 2014, coincident with Ensign being fined millions for fraudulent Medicare billing, the AG rescinded the $44 million sale of Keiro to Ensign. A few months later, Miyake and the board sold Keiro to Pacifica for $41 million, according the Purchase and Sale Agreement, and took an offer that was $3 million less. Is that exercising fiduciary responsibility? At the judicial hearing to request the temporary restraining order for the sale, the attorneys for Keiro stated that Keiro will only receive $37 million. What happened to the remaining $4 million? This is a total shortfall of $7 million. Is that exercising fiduciary responsibility? 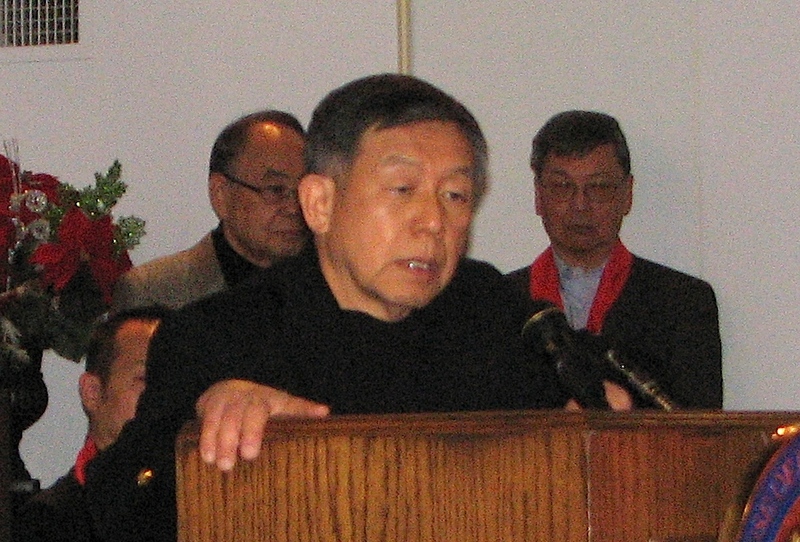 Shawn Miyake and the board planned the sale for six to seven years. Yet at the time of the sale, they had no concrete plan for the future use of millions in asset. Is that exercising fiduciary responsibility? What will happen to the endowment funds given by residents, their families, and the community? Fiduciary responsibility dictates transparency. The attorney general imposed a five-year period for maintaining the current culturally sensitive care at the Keiro facilities. In the communications between the AG’s office and Keiro, the AG representative suggested a list of culturally sensitive items to be included in the contract with Pacifica. It was not Keiro. Keiro should have insisted on an optimal ratio of Japanese-speaking caregivers to patients at all the facilities, 24/7. Keiro did not ask for any Japanese-speaking caregivers in their agreement with Pacifica. Japanese-language capability, which is the most important element, was not included in the list of culturally sensitive items. Without adequate Japanese-speaking staff, the health and safety of the residents and patient are at risk. The attorney general imposed a one-year moratorium on rent increases for the residents of the Retirement Home. To protect the Retirement Home residents, Shawn and the Keiro Board should have insisted on an affordable rent control in the Purchase and Sale Agreement with Pacifica. Since October 2015, the Ad Hoc Committee to Save Keiro garnered overwhelming public and political sentiment against the sale of Keiro — over 17,000 signatures, political support from Assemblyman David Hadley; Congresswoman Judy Chu, who provided endorsements from 15 members of Congress (Pete Aguilar, Karen Bass, Xavier Becerra, Tony Cardenas, Janice Hahn, Michael M. Honda, Ted Lieu, Alan Lowenthal, Doris Matsui, Grace Napolitano, Lucille Roybal-Allard, Brad Sherman, Mark Takano, Norman Torres, and Maxine Waters); the personal and passionate commitment from Congresswoman Waters, who assigned a congressional aide specifically to assist us and provided the link to our pro bono attorneys; Norman Mineta (former secretary of transportation and congressman); Warren Furutani (former California assemblyman), who provided the support of the Asian Pacific Islander Legislative Caucus (Sens. Carol Liu, Richard Pan and Janet Nguyen; Assemblymembers Das Williams, Phil Ting, Rob Bonta, Ling-Ling Chang, Ed Chau, David Chiu, Kansen Chu, Young Kim and Evan Low); the Gardena City Council; and L.A. County Supervisor Hilda L. Solis (former secretary of labor under President Obama). This overwhelming response against the sale would have been evident in a public hearing. What is the responsibility of Shawn Miyake and the Keiro Board to respond and comply with the wishes of our community? They could have canceled the sale before the closure of escrow and saved Keiro. Failing to save Keiro, Shawn Miyake, the administrative staff, and the board have lost the trust and mandate of our community. They should apologize to the residents, patients, patients’ families, and the Japanese American community and resign. They should relinquish the control of the entire assets of Keiro to the Ad Hoc Committee to Save Keiro (soon to be Koreisha Senior Care & Advocacy, a nonprofit organization). With the assets of Keiro, Koreisha Senior Care and Advocacy plans to advocate for the health and welfare of current and future residents, their families, and the employees of the former Keiro facilities. Koreisha will also advocate to provide financial assistance for the Retirement Home residents, who will suffer financial hardships as a consequence of the sale. Lastly, it is our intent to plan and to work toward building a New Keiro. Opinions expressed are not necessarily those of The Rafu Shimpo.